You don’t have to be 100% French Canadian (“pur laine”) or have been raised with a wealth of cultural knowledge, and you are not required to be an expert in French Canadian culture in order to take up and live whatever traditions that come out of our culture that make sense to you. These are your birthright. These are our shared cultural traditions. Our patrimony. 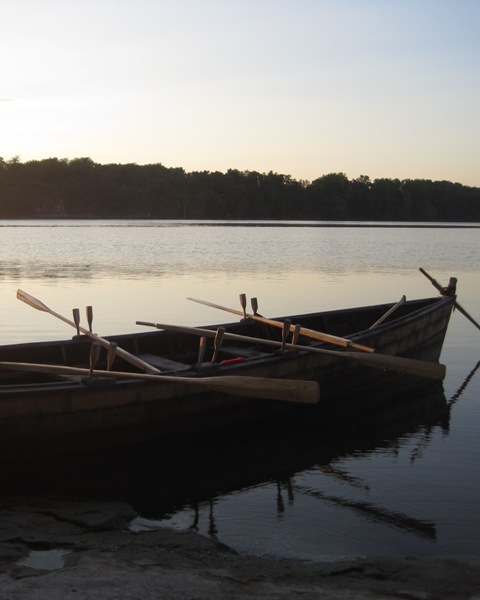 They have been practiced for centuries in some measure by Métis and French Canadians from Michigan, Wisconsin, Minnesota, Illinois, Indiana, and Ontario – throughout the Great Lakes! See below for information on The Great Outdoors, the Voyageur Sash, Ste. Anne and St. Jean Baptiste, and Genealogy. For the great French Canadian musical tradition, see our page Fiddle & Song. For information on French Canadian folklore, see our page on Folklore. For recipes from family cookbooks around the region, see our Food page. The rendezvous was a time when traders, merchants, outfitters, and families gathered in locations throughout the fur trading world to shop their wares, to supply themselves for their journeys, and often to have fun after months in the interior. The rendezvous has continued on in the 20th and 21st centuries through the activities of living-history reenactors, as well as cultural events that are not predicated on ‘reenacting.’ Such rendezvous are held in many areas, such as Lake St. Clair, Michigan, and West LaFayette, Indiana at the Feast of the Hunter’s Moon. Voyageur reenactment groups such as the Saginaw Voyageurs are a very popular learning and social past time. Today the rendezvous, such as the Rendezvous at the Straits Powwow held yearly at the Straits of Mackinac in Michigan’s Upper Peninsula, reflects the cultural mixing of the fur trade. It is an event that draws on both French fur trade culture and Native American culture, as well as the metis cultures that often formed out of marital unions among these groups. 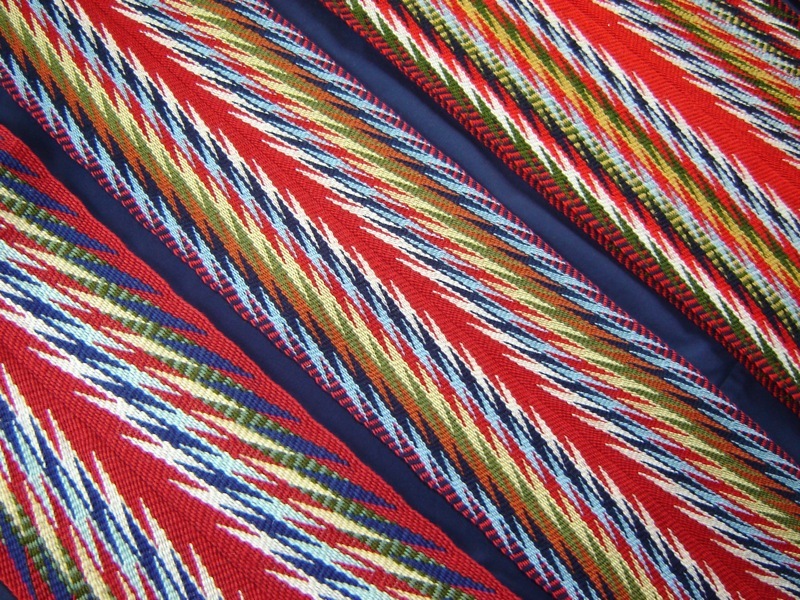 While the rendezvous has changed from an important aspect of the fur trade into a historical cultural event, it remains an important part of Great Lakes French Canadian, Metis, and Native American life and cultural expression. Late Winter and early Spring is a time of cabin fever and muddy boots in many places around the Great Lakes. But there is more to life than waiting for the first flowers of Spring. Three traditions with roots in First Nations/Native American cultures and early French Detroit continue to be hallmarks of regional French Canadian culture. Maple syrup. With the tradition of making maple candy – using boiled syrup that is quickly cooled on snow to make a popular confection – in Winter and the running of the sap in early Spring, maple is a key ingredient in the food culture of French Canadians, a skill and resource learned from the First Nations by the earliest settlers. As the maple sap begins to run, professional and well-seasoned amateurs head for the sugar bush to tap this precious resource. It is time-sensitive and takes skill. But the results are worth it as sap turns into syrup and sugar for the coming year. The tradition of the sugar bush can be seen in many artworks of French Canadian life. The Detroit French dialect is also known by at least one scholar as “Sugar Bush” French. Muskrat. Again, stretching back in time to early colonial life, the voyageurs, coureur des bois, and early settlers used the resources to hand and learned from the native peoples what could be eaten. 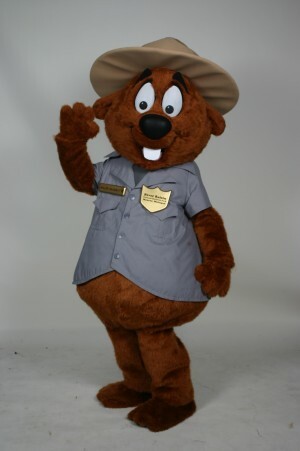 Muskrat has been part of Great Lakes regional food culture for centuries. The local French dialect is more commonly known as Muskrat French. And the people themselves are also known as Muskrat French. It is a regional folk culture, a cuisine, and a language. Muskrat dinners are held throughout the area are an interesting and popular unique tradition. It is said that a dispensation from Father Gabriel Richard allowed the local French population to eat the “marsh rabbit” during Lent, circumventing the rule on not eating meat. It is a water-dwelling animal and therefore considered, for these purposes, a fish! For more on Muskrat French culture see: Muskrat French Michigan Historical Review galley. The Nain Rouge. An early Detroit folktale emanating from the French Canadian population, this story describes a confrontation between a “red dwarf” dwelling in the marshlands of Detroit and Detroit’s founder, Cadillac. The Nain Rouge, it is said, cursed Cadillac and the city forevermore. It is said to make an appearance whenever bad things happen in the area. In recent years, a “new/old” tradition has taken place on the first Sunday in Spring at which a parade of revelers seek to drive the Nain Rouge out of Detroit by marching through the streets and finally, when the Nain appears to confront them, chasing it out of town. It is an attraction that draws thousands of marchers, keen to rid Detroit of this evil creature. Christmas in French Canada means the ancient tradition of ‘réveillon’ – a midnight meal the center of which is the tourtière. It traditionally has been held at midnight following Midnight Mass on Christmas Eve. According to Bill Loomis in his book Detroit’s Delectable Past it was part of Detroit’s French culture as well. However, it might also be held in the evening of Christmas Eve and be meant to last into the night. It is a festive occasion, fitting the season, and a tradition that might fittingly be held today as well. It is still celebrated in Quebec, Louisiana, and French Ontario and among families of French Canadian heritage throughout New England and the Great Lakes. In some places, there is also a New Years réveillon. Hunting, fishing, trapping, wild harvesting: no one culture has an exclusive claim to loving and appreciating the great outdoors. These activities have kept all cultures alive for millennia. It is really only relatively recently that people have come to rely solely on domesticated animals and crops for their sustenance. Keeping this in mind, it bears exploring the connection between French Canadian culture and The Great Outdoors. Of course, in Michigan, many city dwellers in the 20th century may have left these traditions behind entirely. Yet for many French Canadians whose families established themselves in rural areas, the pursuit of these activities has continued unabated for centuries. These practices continue today. Many families can recount trapping activities, especially by members of the younger generations, for fun and (minimal) profit. Gun safety and the first hunting license is almost a rite-of-passage. There are many people who understand trapping, hunting, fishing, and wild harvesting as cultural activities rooted in a desire to live, to the extent possible, off the land, while respecting that taking its bounty comes with responsibility. French Canadians were, for the first centuries of life in North America, primarily Roman Catholic. However, historians have shown that despite the settlement in New France being officially limited to Catholics, many Huguenots also settled there as well as some Jews. However, for French Canadians, Roman Catholicism was and remains one of our core traditions. It is thus important to understand even if your families became another religion or left religion entirely. Saint Anne, the mother of Mary and the grandmother of Jesus, is the patron saint of those who voyage by sea and was a important figure in Breton culture. As such she ‘accompanied’ emigrants to the New World. As a grandmother, her image resonated among some Indian tribes for whom the grandmother, and all elders, were revered. She became the patron of the Mik’maq tribe and is the namesake for churches throughout the lands once occupied by France, including St. Anne of Detroit and Ste. Anne de Beaupre in Quebec. The Feast of Saint Jean Baptiste was very important in France. It too accompanied the emigrants to the New World and celebrations on the day are recorded as early as 1636 in the Jesuit Relations. 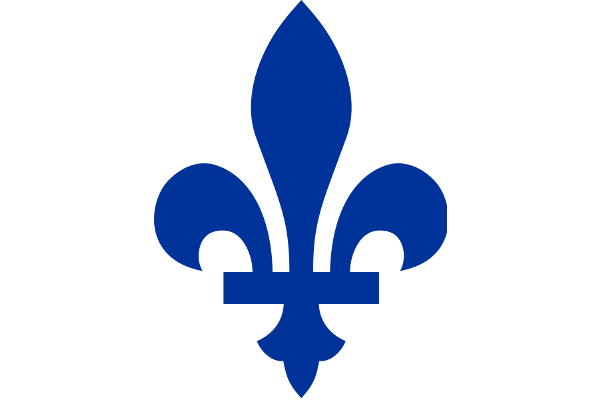 The day became a source of patriotic celebrations among French Canadians in later decades, is the national holiday of Quebec, and the Saint-Jean-Baptiste Society in Quebec is dedicated to the promotion of francophone interests and Quebec sovereignty. Genealogy has been a subject of interest for French Canadians for many generations. The first genealogies of the earliest French emigrants began to appear in the 19th century. This interest may stem from the simple fact that the founder population of New France was very small and left copious detailed records, allowing researchers to effectively trace the genealogies of all French Canadians. Numerous genealogical projects have been undertaken over decades allowing the current generation access to records and family histories unparalleled elsewhere. My father used to tell us kids about the New Year’s Blessing each family would receive on New Year’s Day. It would start with my father and his siblings along with their mother kneeling before their Father. He would pronounce the New Year’s Blessing. Then they would go down the street to the home of his parents (the paternal grandparents) and all kneel in front of grandpa Girard who would then give them his New Year’s blessing. Following that, the family proceed a few blocks away to the home of the maternal grandparents. Because grandpa LaMothe was bedridden from injuries taken during the American Civil War, the family would kneel around the bed and grandpa LaMothe would give them his New Year’s Blessing. This ceremony occurred every year until the grandfathers were no longer alive. Of course, all of this ritual and the visiting afterward was done in spoken Canadian French. This was a common ritual among the Canadian French of Chippewa Falls, Wisconsin. Pierre- Thank you very much that description. It’s very noteworthy that this was taking place in Wisconsin in living memory. Thank you! I’d like to hear more!